I think that your home should be a piece of heaven on earth. I hope heaven is like our home here sometimes. Not everyday is perfect or goes that smoothly, but on the days that life is good, and wholesomely filled with caring....when everyone in our family chooses to show that kind of love...I feel like it is heaven on earth. Little glimpses into what Christ has intended. Just a speck of what it will really be like in heaven. And it makes a great Valentine's gift! The kids jumped in to help me crack eggs, and pulse the food processor, and of course they LOVE the Kitchen Aid mixer. The recipe is from The Romantic Prairie Cookbook by Fifi O'Neill. If you don't have this book, you should! The recipes are so very good! And who can resist a book by sweet Fifi? The tart calls for almond paste. Don't buy it at the grocery store! Halve this recipe for the almond tart. Place almonds and 1/2 cup powdered sugar in a food processor fitted with a steel blade. Pulse until nuts are finely ground, stopping once in a while to scrape down the sides of the bowl. Be careful not to over process...you don't want nut butter. Add the rest of the powdered sugar and pulse until it is completely mixed in with the nuts. Add the egg white and almond extract and pulse until there is a clump of almond paste in the middle. It should be like a thick, yet smooth paste. If you find that it is too sticky, just add a little more powdered sugar until it is a smooth paste. Use right away or wrap and refrigerate for up to 3 months. You can also freeze it for 6 months. Makes one 9 inch/32 cm tart. 1. Prepare pastry according to recipe and transfer to a 9 inch/23cm tart pan. Refrigerate until firm, about 30 minutes. 2. Preheat the oven to 375 degrees/ 190 C.
3. Line a pastry shell with parchment paper or aluminum foil and fill with dried beans. Bake for 10 minutes, remove the paper and beans and bake another 5-10 minutes, or until the shell is pale golden. Remove from the oven and transfer to a wire rack. Reduce oven temperature to 350 degrees/ 180 C.
4. Make the filling: using an electric mixer on medium speed, or a whisk, beat the butter until smooth. Add the almond paste, one piece at a time, beating until smooth. 5. Continue beating while gently adding the sugar, lemon zest, lemon juice, vanilla extract, and almond extract. Add the eggs one at a time, beating well after each addition. Stir in the flour. 6. Make the topping: melt 2 tsp. butter in a skillet over low heat. Add the slivered almonds, stirring gently until golden. Don't burn them! Remove from the heat and let cool. 7. Assemble the tart: spread the almond paste mixture evenly in the partially baked tart shell. Return the tart to the oven and bake for 35-45 minutes, or until the center of the filling is firm to the touch. Remove from the oven and let cool on a wire rack. 8. Spread the preserves evenly over the top of the tart. Arrange the toasted almonds in a circular pattern on top of the tart, making sure to let some of the preserves show in the center. For Valentine's Day, I used a heart shaped pan. We are giving these as gifts this year. Thank you Fifi for the delicious recipe! To buy The Romantic Prairie Cookbook, click here. In my humble opinion, it is one of the best cookbooks on the market and so beautifully photographed and written. Looks really good. I like the heart shape idea. When my kids were grown up they always helped in the kitchen. I really miss those times. Oh my!!! Thank you for sharing this. 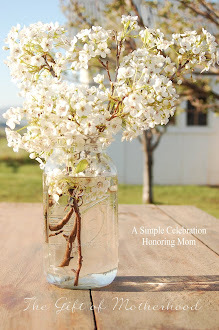 My momma is coming for a visit this weekend and I will be making this! I just pinned it and plan on baking it this weekend! !